"I am extremely proud of our engineers and our team at Sierra to be able to introduce and deliver a brand-new innovative machine for the recycling industry just one year after introducing the REB-4, a completely new two-ram model that has been extremely successful," said John Sacco, President and Owner of Sierra International Machinery. 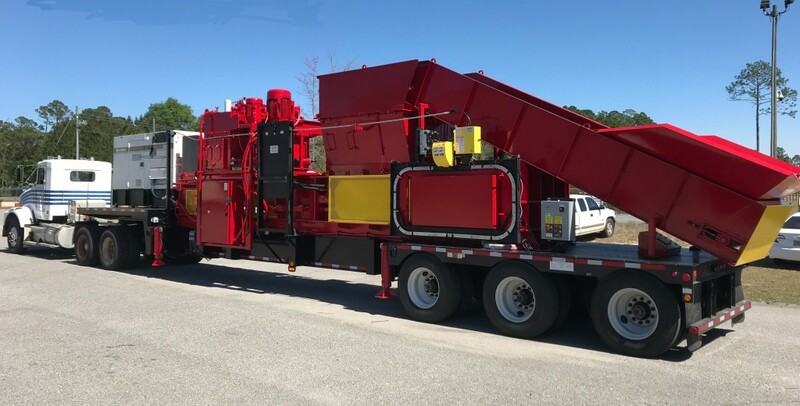 "The REB-X Press is going to give waste and scrap recyclers throughout the world the flexibility to maneuver the two-ram baler to wherever they need to process material. The REB-X is just another example of how Sierra is leading the industry in innovation." The REB-X Press will be on display at both ISRI 2019 (booth #A4) in Los Angeles, California, April 8-11, and at WasteExpo (booth #2261) May 6-9 in Las Vegas, Nevada.